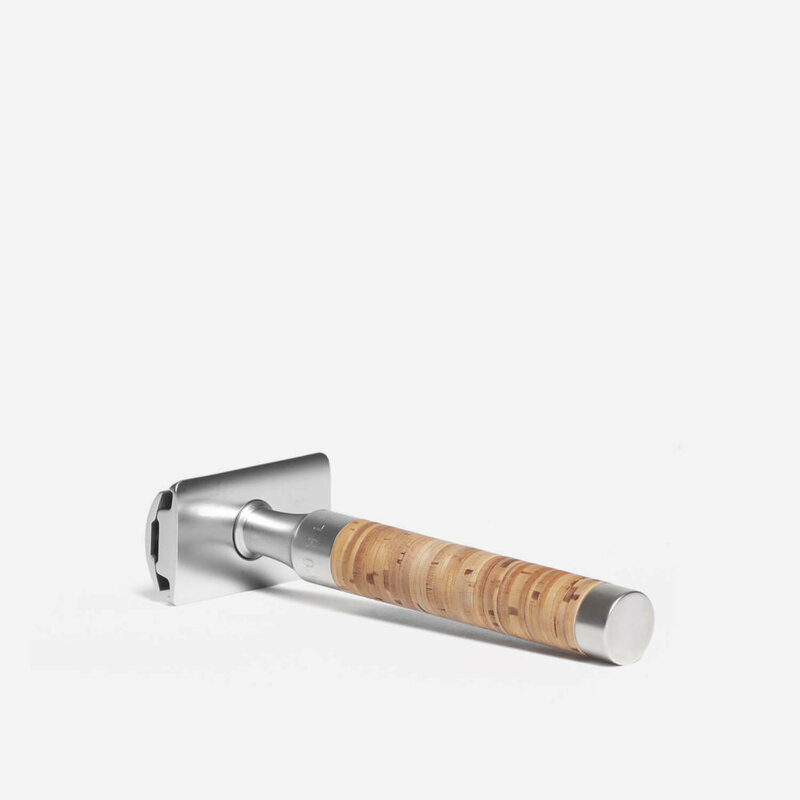 Closed comb DE safety razor made from stainless steel with a birch bark handle. Earn up to 92 Reward Points for this item. The R95 DE safety razor is part of Muhle’s stainless steel Rocca range and features a stunning birch bark handle. The razor has a closed comb head but offers a more efficient shave than that given by Muhle’s regular closed comb DE safety razor head that is used on the popular R89.